Eye-Catching Labels Stigmatize Many Healthy Foods, Honey Being One Of Them. 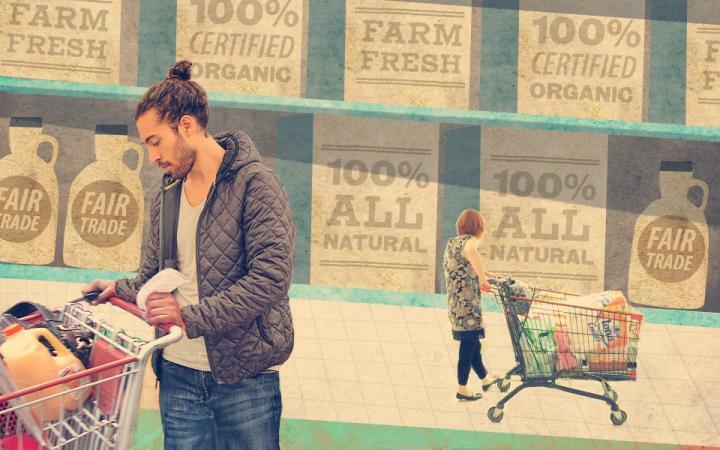 IMAGE: University of Delaware professor Kent Messer has published a paper looking at the good, the bad and the ugly of food labels. Credit: University of Delaware. For the poor, in particular, there is danger in misunderstanding which food items are safe, said Kent Messer, the study’s lead author and the Unidel Howard Cosgrove Career Development Chair for the Environment. “Relying on process labels alone, on the other hand, is a laissez faire approach that inevitably surrenders the educational component of labeling to mass media, the colorful array of opinion providers, and even food retailers, who may not always be honest brokers of information,” the researchers wrote. Messer said that another problem are “halo effects,” overly optimistic misinterpretation of what a label means. A label such as “low food miles” might sound nice but could actually be causing more harm than good. “Sometimes, where food is grown doesn’t mean that it’s actually the best for climate change,” said Messer. Hot house tomatoes grown in Canada, for example, might have low food miles for Canadian consumers but it’s probably far better environmentally — because of all the energy expended in creating tomatoes in an energy intensive hot house in Canada — to grow the tomatoes in Florida and then ship them to Canada. “If you just count miles and not true energy use, you can get people paying more money for something that’s actually going the opposite of what they wanted which is to get a lower carbon footprint,” said Messer. He added that the ugly side of food labeling is that a lot of fear is being introduced into the marketplace that isn’t based on science. Messer also said that there is evidence that food companies are getting worried about investing in science and technology because they don’t know how the consumer is going to respond or how marketers are going to attack their food product because it’s new and different and therefore, can be labeled as bad or dangerous.